Beachwalk Villas is a wonderfully exquisite luxury resort in the family friendly part of North Myrtle Beach. This fabulous 14-story, second-row resort offers some of the most beautiful and unique panoramic views of the sun rising over the Atlantic ocean, twilight settling in over the wetlands and the magnificent Tidewater golf course. Families will particularly enjoy the many amenities that Beachwalk Villas has to offer, including its fabulous outdoor pools and recreational gaming area. Just steps behind the resort is a rare but expansive area for boating, fishing and crabbing. This resort is perfect for those who desire a truly timeless experience filled with serenity and complete relaxation! Most places along the water will offer an 'ocean view' when you book with them, but a majority of the time it comes with some sort of obstruction. Come stay with us at Beachwalk Villas and we'll give you the best view out there. The living room offers a full Norman Rockwell-esk view of the Atlantic Ocean while the patio includes a shot into the city as well and a glimpse into the wetlands. Swimming pools and amenities center are on the ocean front. We had a really great time. The place was very nice. Beds were comfortable. Very clean. Plenty of room for 10 people. Would definitely stay here again. Thank you for a relaxing family vacation. Very clean, beds were comfortable. View was great. Kitchen was functionally equipped, however I do recommend you take your own can opener. Otherwise had a great time. Owner never failed to answer me when I left him a message. Clean and functional with great views! Enjoyed this condo. It's older and could use a few decorative updates, but it was clean and comfortable. Beds are comfy. A/c is cold. Helpful owners/mgrs. 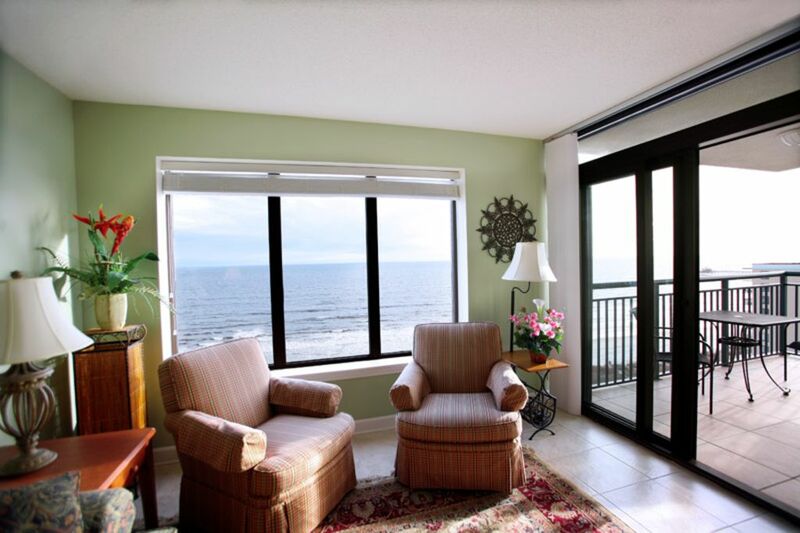 Views and walk to beach are like you're beach front, but with a better price. Great parking and elevators with luggage carts nearby. We'd go back! My family has been staying at this condo for 10 years and we love it. It is always very clean and well maintained. The only recommendations that I have is the clothes dryer took several drying cycles to dry our clothes and the handle on the microwave is coming off. Can’t wait to book our stay for next year! Nous avons adoré sur tous les points cet endroit! CHECK- IN AT 3 PM. CHECK-OUT AT 10 AM Nightly Rate: $135-$245 Weekly Rate: $650 - $1695 Monthly Rate: $650 - $1495 Pricing includes a basic cleaning fee, linens, towels and accommodation tax. Stays of less than 4 nights will be charged a $100 departure cleaning. Please add an additional 2.9% fee if you pay with a credit card.